Ivan Palacky "My Bees Can Fly Anywhere"
By using sound recording as a form of ear training, Patterson has devised and performs with a selection of amplified devices and processes. 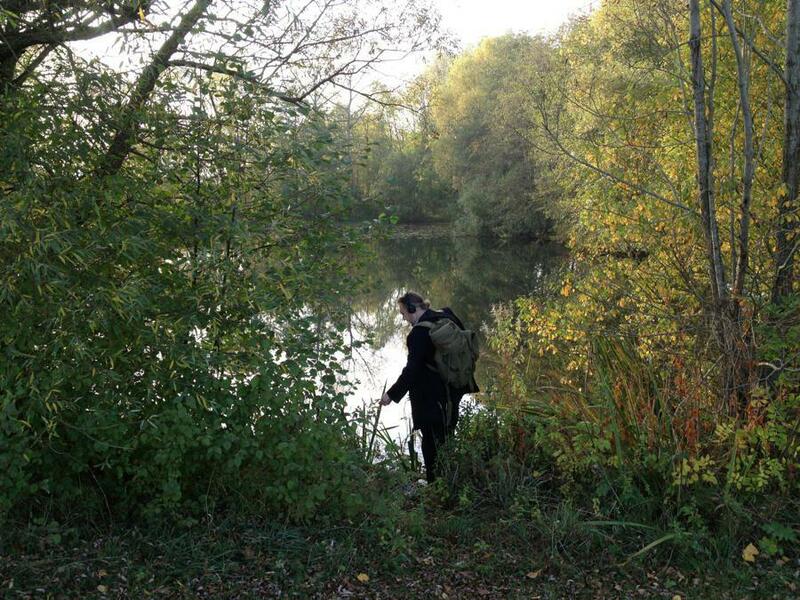 Whether working live with amplification or recording within an environment, he has pioneered a range of methods to produce or uncover complex sound in unexpected places. From rock chalk to springs, from burning nuts to aquatic plants and insects, he eavesdrops upon and makes a novelty of playing objects and situations otherwise considered mute. His collaborators have included some of todays most respected experimental musicians and filmmakers such as Mika Vainio, Jennifer Walshe, Vanessa Rossetto, David Toop, Rhodri Davies and John Butcher, Greg Pope, Benedict Drew, Luke Fowler, Lucio Capece, Rie Nakajima, Angharad Davies, Phil Durrant, Keith Rowe, John Tilbury, Xavier Charles and Tetsuya Umeda. His works have featured on UK television, BBC Radios 3, 4 and 6, Resonance FM and on radio stations worldwide. He lives and works in Prestwich, Manchester, UK. A musician and architect, in the 1980s and early '90s Palacký performed in various bands and participated in a diverse range of musical projects. He performed at many concerts with the band "Sledě, živé sledě". He is currently a member of the ambi(val)ent duo "Tílko" (with Jennifer Helia DeFelice) and the audiovisual improvisational duo "Koberce, záclony". He also keeps audio diaries of his travels, recording story fragments, strange sounds and a diverse array of "acoustic errors". Since 2002, he has been involved in free improvisation, and enjoys participating in short-term projects (collaborations with Cremaster, Ruth Barberán and Margarida Garcia, Willem Guthrie, Andrea Neumann, Jez french riley, among others). He equally enjoys playing solo. His main passion since 2005 has been the "mining" of sounds from an amplified Dopleta 160 single bed knitting machine. As an architect, he is interested in architecture without "structures", sociological methods in project planning and morphogenetic maps in digital architecture. Lee Patterson is obsessed with the sounds of nature and the sound itself, sound that travels through other media. Not only the air but through water, but metal fences, concrete bridges and the like. 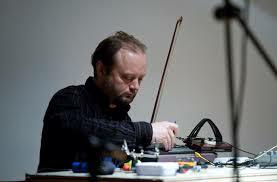 His work includes improvised music, field recordings, composed music and installations. During his career, he has recorded more than twenty records with various improvisers, composers, filmmakers and sound artists like Max Eastley, journalist and theorist David Toop, Ben Gwilliam, Toshiya Tsunoda or Luke Fowler. For me, playing is characteristic of a kind of intuitive "slicing of time" and the persistent attempt to reach a point where I don't know how the whole thing works and when it will derail to the extent that I stop trying to figure it out; it is not even so important for me which tools I use to achieve this state. My interest in tectonic playing comes from my profession, from architecture: the proportions and ratios between individual parts, and the most difficult thing: a kind of subconscious, precisely located "turning point" which alters and shifts the entire intangibly flowing audio situation..